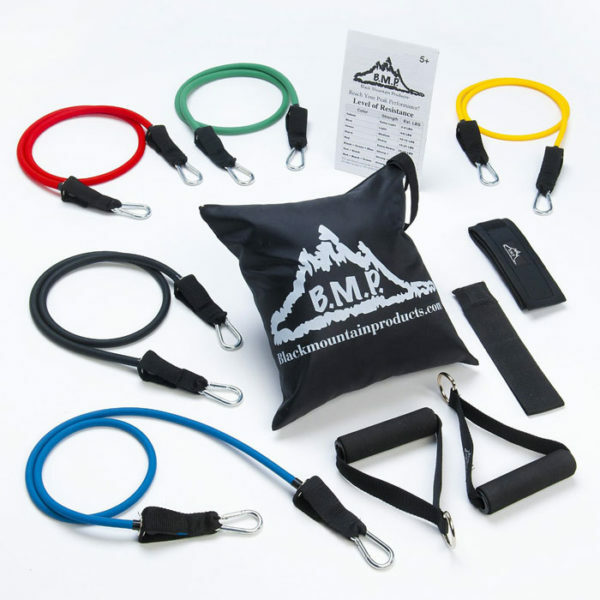 Black Mountain Products resistance bands are made from the highest quality rubber to ensure maximum durability. This set includes five stackable resistance bands, two handles, door anchor, carrying bag, ankle strap, and exercise manual. This set provides the advantage of using any single or multiple (1-5) bands at once to achieve multiple levels of resistance. B.M.P.’s stackable set of exercise bands allow for a much wider range of resistance, (4 lbs. to 75 lbs.) than traditional bands sets. Any combination of bands may be used at one time, without the hassles of having multiple handles on each band. This increase in range and ease of use makes this set perfect for anyone from beginner to expert. Great quality, great service. Fast shipping! I got these for my P90X workouts and I must say the quality is outstanding. I was unsure how they would be because they are very well priced but I was more than happy with the product and its performance. Awesome product. 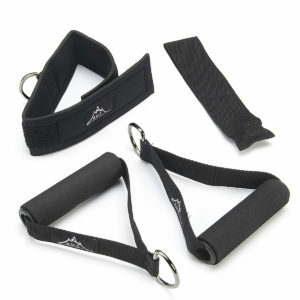 Bands are very durable and strong which allows full intensity to get maximum results. 5 star product. 100% great quality. This set is a lifesaver! I just got back from a road trip to Chicago and, thanks to Black Mountain Products, I didn’t have to miss a minute of gym time. This set is so compact, it easily fit into my backpack! Aside from using it at home, I can’t wait to take this set on more road trips! The fastenings are sturdy and of good quality. They make it easy to swap between bands and the bands themselves seem like they’ll last forever! I have been looking for resistance bands that attach to something so i can do more with them other than step on the band and go from there. I absolutely love these bands, the best part is having the door anchor so i can work different parts of my arms and even legs with the ankle band. These bands are high quality bands and seem like they will last me a long time. Im extremely satisfied with this product! These bands have been great! 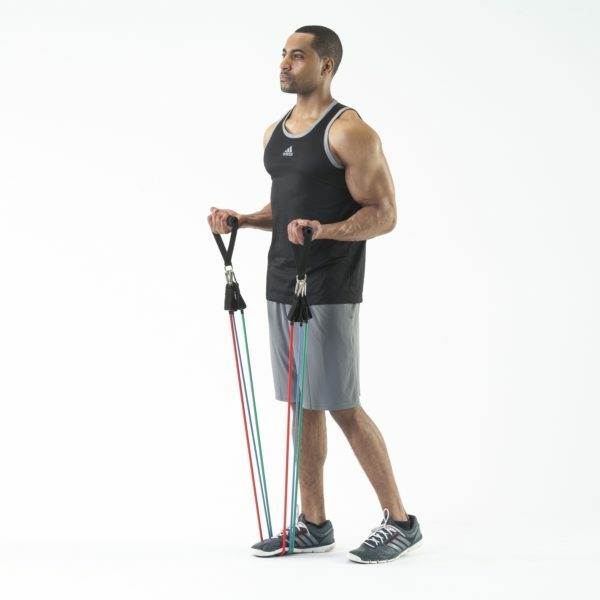 I have been using them for about a week now and it is easy to switch the bands between workouts,and the latches are long enough that combining two bands to increase resistance is possible. The quality of this set far exceeds my expectations. The latches are strong and easy to switch. The flexibility of the band makes many different exercises possible and the handles are flexible. I Iove working out with them even more than weights. Would recommend to anyone. Awesome product.. have been using them for a few weeks and I am achieving excellent results. Wish I had went for the 7 band kit so as to get more resistance for chest press exercises. Just purchased the heavier weight single bands to expand my set.. cant wait..
I’ve wanted these for a while, and finally got them as a gift this year. They’re amazing, I use them to warm up before all of my lifting workouts, they get the blood flowing. No more pulling muscles due to lack of warm ups! Great set. Great product to take on the road and get a workout in without leaving your hotel room. Quality is great!! I feel I get an awesome workout with these bands and it’s something I can use at home if I can’t get to the gym! Well worth it!! Love these. I love how sturdy they are and how easy it is to change the handles to different bands. Would definitely recommend buying these. Plus, the price is unbeatable for this many bands. Holy Macaroni, the stackables are impressive. I love them and are recommending this to someone right now! Will buy another one quite possible. Best I have used, very pleased with the quality. I bought them to use when I travel, but have incorporated them into workouts are home as they are easy to use and very durable. I have recommended these to friends and will continue to do so. I like these bands for their portability. I have owned them for over two years, and I’ve gotten a lot of mileage out of them. I’ve had three bands break over that time (they seem to wear out when using the door anchor; as the bands stretch they rub on the fabric of the door anchor, slowly eroding them over time). However, the company is not kidding when they say that the bands have a 100% lifetime warranty. Each time I have called they have been friendly and given me no hassle, and a new band has arrived within a week. Got these for Christmas, and I use them frequently. The workout that is provided in the accompanying materials is a very thorough and exhausting routine. I grew up using primarily weights and doing very little in the way of bands. Now, I prefer to use bands (even at the gym), and these are very durable and easy to use. .I intend to start my teenage son on these and hopefully teach him the benefits of bands versus free weights. I definitely recommend these to anyone who wants to exercise at home or on the road. And, the price of these bands is much more affordable than anything you would find in a sporting goods store. Wow! These are the best resistance bands that I have ever used in my entire life! They are durable, versatile, and really easy to use. I wouldn’t change them for the world, they are worth every penny and more. I would recommend these bands to a friend or family member for sure. My wife started the Pyo work group and needed some weights. 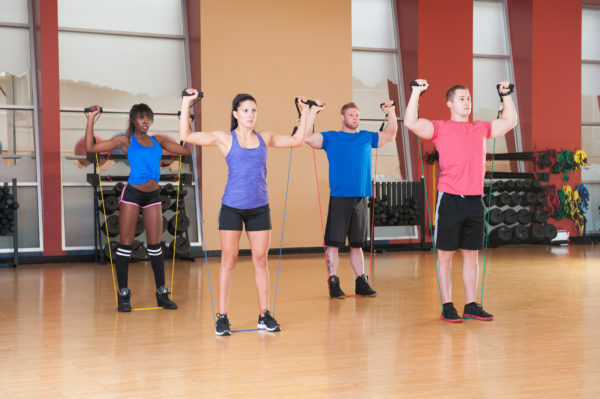 We do not have a lot of room for free weights so we looked into resistance bands. They are light, easy to carry and store, and are able to take with us when we go visit family in the far east of Texas.Found this product on Amazon and read the reviews.Why not try this product. All the reviews are correct about this product from all the pages that list these bands. From the manufacturer’s page to third party page all are great reviews. These band are strong and stretch to their four feet limit. The door attachment works surprisingly well, there are no hooks just a numb that is placed in the door crack. My only concern is the plastic handles that are used to pull the bands. They have a five band limit. Wonder why they chose plastic instead of a metal rod. Will be purchasing the other three bands and the other accessories that are available for this product in the coming months. Thank you for making these. Their customer support is amazing as well. Very friendly. These bands are great! At first I was a little apprehensive about trying resistance band versus traditional dumbbells but to my surprise they have been great. I’ve been using them along with the P90X3 workout dvds and after a workout I can’t even tell the difference between the bands and traditional weights. I would recommend these for someone who doesn’t want to spend a load on a set of weights and still get results from working out. I received the set and was instantly impressed with the quality of the product. I started at the lowest resistance band and quickly realize that the black band was were I could have started. I wish the bands were marked with the weight class on them, and suggestions of stacking them in the exercise chart, which would save me more time to devote to the exercises. I will figure that out though eventually. Overall I think the price is very fair for the quality of the product. I also really like the bag they come in! Would definitely recommend them to everyone. I’ve never had such good customer service from any retailer ever. I work on a boat and I don’t have any space for different sized weights. These are perfect and so versitile. Only received them today but so far so good! I am so happy with this purchase. 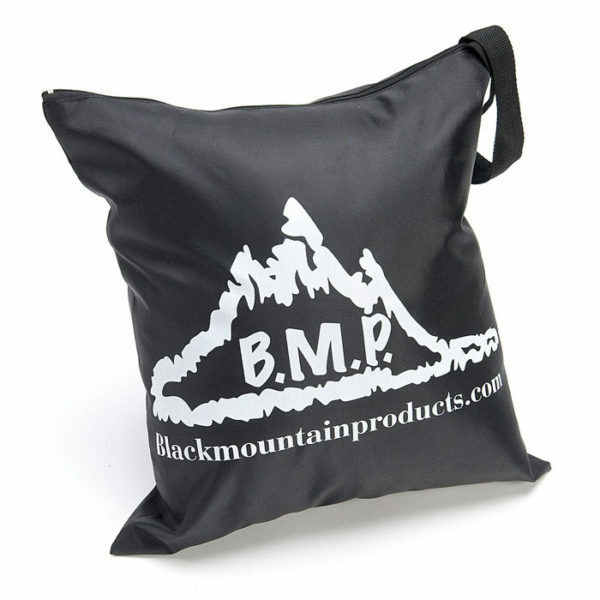 Thank you Black Mountain Products! I recently purchased these bands and have been great for rehab. I have had shoulder pain for past 6 months and I have followed the workouts 3-4 times per week. My range of motion has increased and I am nearly pain free. Great product! My wife and I winter in a warm climate, this year in a complex that that has no exercise facility. I purchased a Black Mountain stackable band set to do resistance training in our condo, having no access to free weights or machines. I have been very pleasantly surprised, shocked even, that these bands work so well in developing more muscle mass and size with their regular use. The ability to anchor them so easily and so varied allows one to target a wide and full range of motion that has sculpted some body musculature that I have never had. Needing only a latchable door the system can be used anywhere, any time. ALL of the components are very high quality: bands, hardware, straps. The whole system fits in a small bag that weighs so little making it easy to travel with, even by air. I’m very pleased. I’m race downhill mountain bikes and often have small injuries. These resistance bands are fabulous and help me recover fast while also strengthening the surrounding muscle tissue of the injured area. A great investment for serious athletes of all kinds. Thanks B.M.P.!! Makes for an economical package for very little money and it is a good workout. I have not had much success with finding exercise videos for bands and I would love to find them for constructing various routines. Suggestions welcomed. One of the best resistance mountain bands I have ever received. I have used it for all Beach Body videos as well as for stretching, pilates, and yoga. Thank you for providing the best exercise product I have ever used! I’ve only had these for a couple weeks, but am impressed with the quality. Everything is heavy duty and I would expect this to last for some time to come. Nice assortment of items, all in a convenient carrying bag. Good value for the money. These bands are great! I’ve used several brands and they’re always broken or snapped after two weeks of usage. I’ve been using these for several weeks now and they’re in great shape. I don’t have time to go to the gym before or after work so I use them during my lunch hour, and they give me a good workout. I would recommend them to anyone. I have shoulder problems so cannot use free weights. Using bands has given me the ability to workout again without the worry of injury. This is a great value and they are the best quality. Learned that it is easier to pick the weight range you need before starting the exercise as it can be s bit difficult to change on the fly if your not sure. Also, ordered their yoga blocks. Best deal I was able to find. Bought these for 3 reasons. 1) Price to Quality: I was impressed by the professional feel of these bands and the price fit my budget. 2) Travel: it has everything you need for a workout on the go. 3) Therapy: I’m constantly spraining my ankle from different sports injuries and by using these bands and doing the work outs it’s been helping prevent the injuries. received my 2 sets last week and this is just what I needed to continue my shoulder rehab at home post rotator cuff surgery. They are really well made and fast shipping. I’ve used this product number of times. I’m very satisfied by its performance and quality. We ordered this set to go with our P90x workout DVDs. The bands are high quality, the handles are soft and comfortable and the whole set is easily portable. It is easy to switch the bands on the handles and can add more than one band at a time for added resistance. Highly recommend this set. In 2010 I was deployed to Afghanistan and needed an effective way to exercise and ordered a set of resistance bands from BMP. I have since retired and started to use my resistance bands again. Two of my bands recently broke where the bands connected to the handle so I emailed BMP and explained what happened. I was contacted within 24 hrs and without question BMP had 2 new bands on the way to me. This is undoubtedly one of the most responsive companies I have had the pleasure of dealing with and felt it was only right to let others know that this is a company that truly stands behind it’s products. I’ve had this product for a while now and I have to say these bands are amazing. I’m only using 3 at the moment for my curls and I’m still not maxing out my reps. The bands are perfectly spaced for seamless progression and by the time I can use all 5 bands I’ll most like be at a point of maintenance rather than attempting to gain. If you are looking for some affordable resistance that is easily adjusted, don’t pass this product up. GREAT PRODUCT!!! Much sturdier than I expected, handles are solid, attachments are easy to change out. Resistance options are fantastic, and the ability to use all at once for the ULTIMATE resistance without too much bulk is a huge plus. VERY HAPPY WITH THIS PRODUCT, will definitely buy products from Black Mountain again if needed. This is a high quality product! 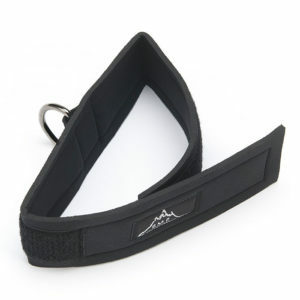 Each band has a carabiner on each end which makes removing or adding a band easy. I enjoy the variety of exercises these bands allow me to perform. great product, easy to use. i had been at PT for awhile and these bands will not break apart. i use them 6-7 days a week. I’m not big on weights, so this product really fits me great. I recently purchased this set for use when traveling or at home when I can’t make it to the gym. I really like the ability to stack these so you can use the appropriate level of resistance for each lift. The bag it comes in is great – everything fits in it nicely. I’m very happy with my purchase. Great resistance band for exercise. Good elasticity, strong band. I like very much. It is a high quality product made from strong rubber product. Not sticky and you can take anywhere you want. Does not take much space to store. Great! Excellent! Good quality, nice design, very versatile. The only reason I didn’t add the fifth star is because I wanted a second ankle strap with the set, so I could set up for both legs at the same time. I made a strap for myself, but it would be nice if it were included in the set initially. I purchased these bands because I had rotator cuff shoulder injury, I have been using them since 2 months and they are amazing. I bought this because I wasn’t comfortable with bands provided by physio. They have done great job in healing my shoulder. Overall great product. Excellent customer service! I lost a piece and they were so helpful and sent me a replacement. VERY pleased! Exactly what I was looking for. Using these on my 21 Day Fix Extreme Pilates workout. Thanks for a great quality product and exceptional shipping! Purchased these for our son. Very pleased with the product. The stackable set is exactly what we were looking for. Good quality, strong bands. Received the two sets and he has started training the iron scap workout for baseball. 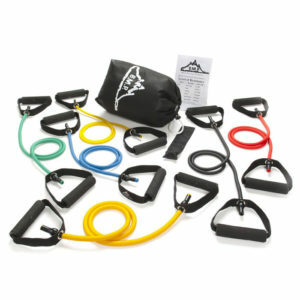 These are high quality resistance bands which are interchangeable. They bands are easy to change and I couldn’t be happier with them. They are great for home use where one has limited space. Great product.Had them 3 weeks and noticing a difference. I looked at $400 homegym first and I can do everything that the homegym offerd with my B.M.P bands.Great customer service and a free band….awesone…..thanks Melanie!! Will b geting more stuff later. Great product. Pleased with quality of the parts and ease of use. Feel like these bands and attachments are quite durable and will last over time. Very happy with this purchase. Product and quality is excellent! Simple to setup and easy to travel with! Highly recommend! 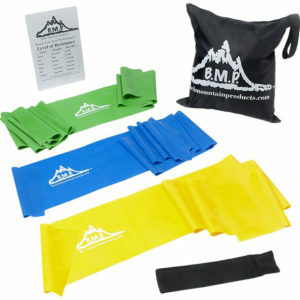 Just received the Black Mountain Products resistance band workout kit and so far I am really enjoying it. Love the door stop anchor, makes it very easy to get a lot of different exercises in. The large variety of band strengths and easy changeability makes working out quick and easy. I’m hopeful for my resolution this year! I received the bands as a gift. At first I wasn’t that excited, but I have integrated the bands into my work out. They work well and are easy to set up. They have been a nice way to vary my workout. They are simple to use, high quality and their portability will come in handy when traveling. A great product. This is a great set, after using them for the past few weeks, they’ve exceeded my expectations. These bands are high quality, and very portable making them easy to travel with. Great set for a lot of different exercises. I bought these primarily for travel, but they work so well that I am using them at home. It is a quality product, but the included exercise book could be improved, and access to videos would be welcome. My daughters got me these bands for Christmas. I absolutely love them. They provide me with a great work out. Very easy to take with me while I travel. Very durable, and not cheaply made. Great bands for exercising, also helping rehab my shoulder. Easy to use, high quality and very durable. Would recommend these to everyone for a great workout. Use these in my workout. So far, they haven’t shown any signs of degradation. Good quality overall. Happy with purchase. Very good quality and easy to use. I use them in my workout and have had no problems. rehabing knee after meniscus surgery. GREAT product, fast shipment, excellent customer service. I am using them to rehab rotator cuff tendinitis, and for strength exercises. The door stop works great. Bands are quite durable and helpful with numerous workouts. Would buy again. I was not disappointed with my set 🙂 Great quality, I tried them without shoes on to see how they would feel, soft, easy on the feet and the price was right. Great price for a great products. Very liked in class. I’ve been using these for about a month and I’m already seeing a difference in my arms and abs. Swapping out the bands is quick, easy, and convenient. Great product! Would definitely recommend! I purchased this product to assist with me physical therapy after shoulder surgery. It has helped me increase my shoulder strength faster than with PT only. This is an all around good product and very easy to use. I would recommend this product to anyone needing to rebuild muscle after surgery. This a great product from a great company!!!! I have tried other resistance bands from various brands and none have come close to this level of quality. This product has been great! I ordered them for P90X workouts and so far they have performed very well when I have used them. 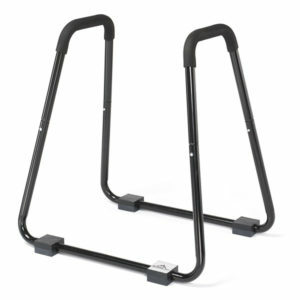 Overall I would definitely recommend these – they are a great addition to any home gym! I have just recovered from my second shoulder surgery, so both shoulders are repaired. I needed to work out, but weights were out of the question. 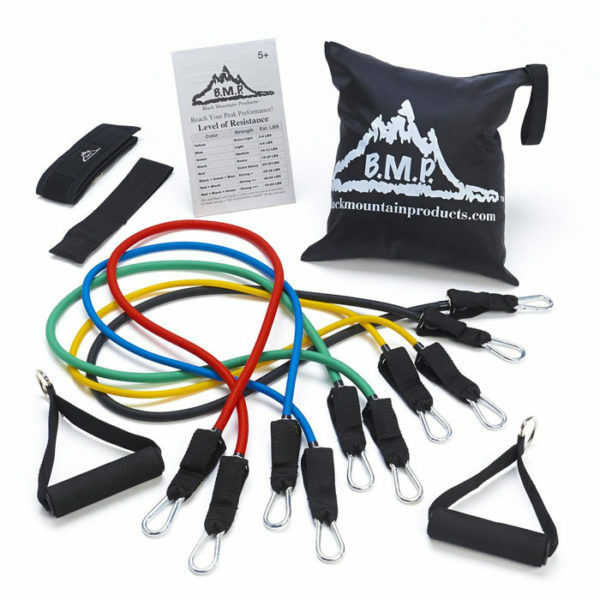 My wife purchased the basic resistance band package from black mountain products for my Christmas present and that has ended up being my favorite present of all. This product has helped me with my recovery and strengthening my whole body, so that I can function normally with everyday activities. A Big Thanks to BMC for creating this product, so I can get back to enjoying life and not just living. I would definitely recommend this product to all my friends and relatives. Thanks again for making a quality product. I got this kit as a gift for Christmas and love it! The quality is great and it is awesome that the attachments are so easily interchangeable. The number of exercises you can do with these products is almost unlimited. I recently used the bands and love them. they are of high quality. I enjoyed my workout so much that I might cancel my gym membership. I also love that I can pack them away and take them with me on travel. all in all, great product and great value! these bands are the best thing going instead of lugging around heavy weights and dumbells.simple to use,makes working out with resistance easier and more efficient.thanks black mountain products! I have tried lots of band products and have had a cable set since I was a teenager. This product is by far the best ever! Again I have lots of experience. I like the handles and how quickly the bands can be changed out for more or less resistance. The securing to the door or other places is very easy. Obviously, someone took the time to think through the design. What is really great if cable type moves such as press downs, or overhead extensions can be done quickly and easily. My travel schedule is fierce and this black bag is going with me every trip. Thanks again for such a great product. really believe this stackable package is a great product at a bargain price. Very versatile workout equipment. It is really fast and easy to change out the weights and positioning to get the right amount of weight for each muscle group you want to work. Good for someone who wants a progressive, balanced workout routine. Easy to set up at home and travel with. Awesome product, excellent quality! I bought these for my home gym and I love them! I highly recommend these bands. 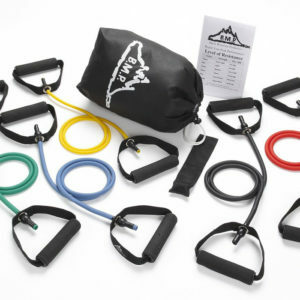 I bought the Black Mountain resistance band set on the recommendation of my brother-in-law a couple months ago. These bands are great. The quality and durability are two of the most important qualities for me. I trust in them for my workouts. This past weekend, I took them on a family weekend getaway, and I was able to do a great full body workout without relying on what the hotel had to offer. These are versatile and portable, and I highly recommend these. These bands are amazing. Easy to switch out, and with a LIFETIME GUARANTEE. I purchase my set in 2013, and use the yellow, blue and green mostly. Over the years of much use, they are starting to disintegrate. One email to Black Mountain and a new set of yellow, blue and green were sent out to me IMMEDIATELY, FREE OF CHARGE, and FREE SHIPPING! This company is ALL ABOUT THE PRODUCT AND THE CUSTOMER! Best customer service EVER!!!! You can’t go wrong with a company like this. HIGHLY RECOMMEND!!!!! I’ve had the bands for almost two months now and have successfully incorporated them into my daily workout routine. They show ZERO signs of wear (even after some rigorous use both indoors and outdoors) and the clips that connect the bands come in handy SO often. I’m not only able to combine the bands for added resistance, but I can clamp them to wall and floor mounted brackets to complete total body exercises that would otherwise require a complete gym setup. as an senior citizen, these are just what the doctor ordered!!! you don’t have to get on sweats to go to the gym, you can work out at your pace practically anywhere and-or anytime you feel like it, and the range of resistance is very good. look at the exercises which are shown on this web site and you’ll have plenty to keep you busy. very good product at a very fair price! Great product! Really durable bands that are made to last. I really like how fast and easy it is to switch the bands. I also really like how you stack the bands to add more resistance if needed. I have had these bands for a couple of months now. Had total shoulder replacement, and use them for at-home Physical Therapy. Would recommend them to everybody! Great product. I received several weeks ago and have since cancelled my gym membership. There is no need for me to keep waiting the money. Very easy to use and have not found any issues with it. I would definitely recommend this to anyone. The product is made of high quality material, while it’s easy to take with me when I travel. I’ve used the set a couple of times in my home gym. After some trouble getting in touch with the company, Rich himself handled the issue and completely changed my opinion of their customer service. Impressive responsiveness. I highly recommend the stackable band set. This is an extremely well-made product. I love that comes with an easy-to-use anchor that fits between the door and frame. They are the perfect length and stackable. I am using them for biceps tendonosis rehabilitation. They are a high-quality product and I am looking forward to using them for many years. Best quality resistance bands I have ever purchased. Will buy more products from this company in future. Great quality and perfect addition to any gym – especially at home. These bands expand the workout options tenfold, and are great for quality toning, safely restoring muscles and preventing future injury. Excellent customer service! Would highly recommend BMP products. Haven’t been disappointed! My PT recommended I purchase some resistance bands to complement my PT. After researching and reading some reviews, I settled on Black Mountain and I’m very glad I did. These products seem to be very high quality, even better than the ones at PT and the gym. I also really like the fact that they come with a lifetime warranty. Great product, friendly customer service and fast shipping! I really like these bands. Very good quality and great costumer support. Keep up the great work. These bands are awesome and so easy to use for an incredible at home workout- so many weight variations, exercises – unlimited possibilities! I have a small apartment, and they are perfect! I would totally recommend these to anyone looking to enhance their at home exercise equipment! I ordered these bands to help me with my pitching warmups before a game. They have been a great help to my routine and my game as well. I like how they have the retractable handles which make it easy to hook onto a fence and only use one handle. Great product and excellent quality. Great quality and perfect compliment to my home gym! Quick shipping and easy setup! Recently purchased, great item & great quality! It does what I need it to do, Looking forward to purchasing more black mountain products. Received this set as a gift. Very good alternative for a home gym instead of bulky expensive cable machines. The constant resistance during the positive and negative aspect of each exercise is great. Especially for someone who has shoulder issues and needs some concentrated work to strengthen problem areas. Great product, highly recommend. I love these stackable bands!! 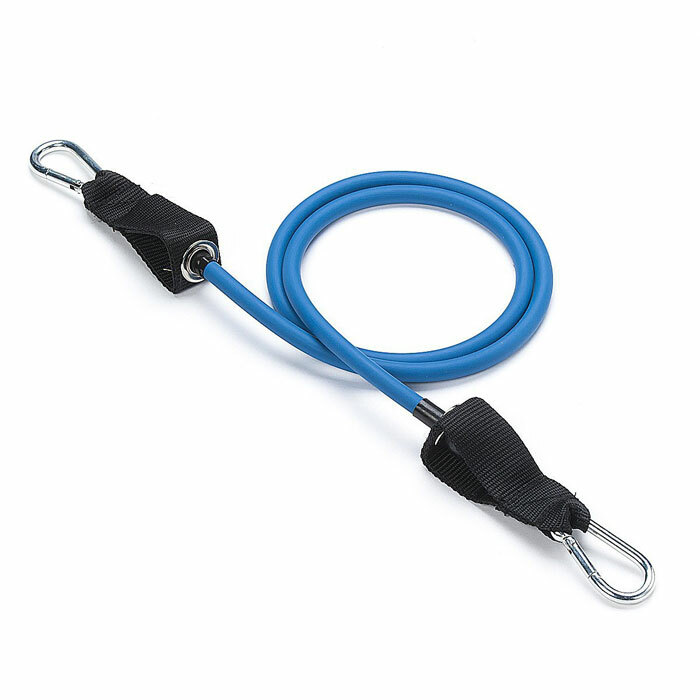 Easy to use and swap between resistances. Great for at home workouts and compact enough to travel with! Also, awesome customer service and fast shipping! Highly recommend!!! Quality bands all the way around. Also generous lifetime warranty. Support is great too with live people answering the phones. Thanks guys! Great quality product. My old bands were next to impossible to change the rubber cord. 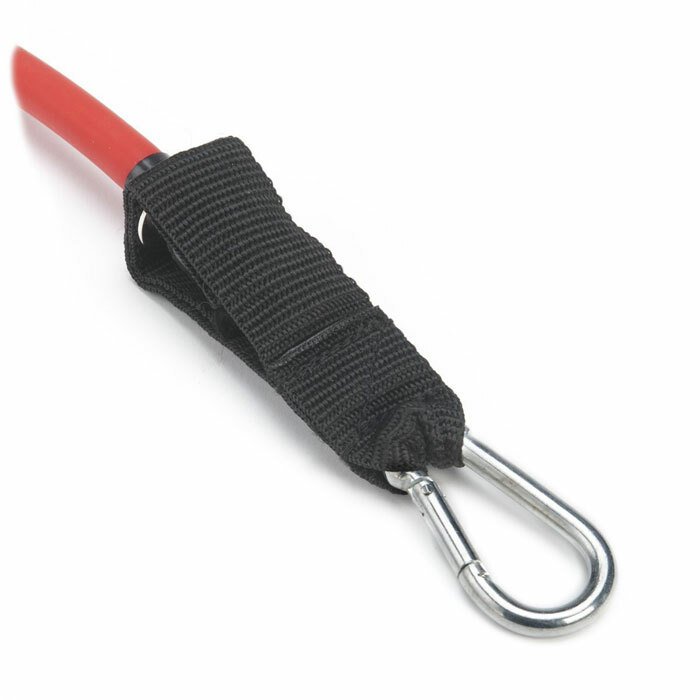 These are simple carabineers. So changing to different strengths for different exercises is simple. GREAT. These bands are awesome, great quality and I received them super fast. Great customer service everyone I have talked to was super helpful! These bands are awesome, great quality and great customer service! Excellent product well made,practical and stores nice. These things really work. I’m 75 years old and I use them at least once a day and sometimes twice. So much easier than trying to do free weights. A lot easier to store, Also. I even bought a set for my teenage grandson who wanted to start working out. I’ve had my set for over 3 years now. I use it daily, and it is still going strong. Excellent quality. Excellent product and very durable. I was looking for another way to work out without the punishment of heavy weights and still feel like I worked out. I think I found it. Thanks BMP. Very durable, easy to use, high quality build. Intelligent and functional design. Excellent product at an excellent price point. These are great. I carry mine in my work bag for downtime at my desk job. Encouraged my husband who is an athletic coach to purchase multiple sets for his team. Also, excellent customer service! Got the Stackable resistance band set for a birthday present and I love the whole kit. 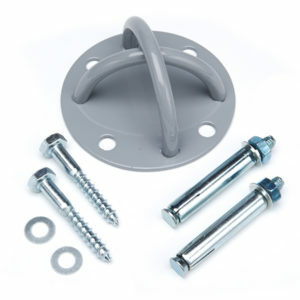 Especially the door attachment, no need to drill holes on the wall anymore for hooks! Great quality bands and the fact that I can change band weight in a second is amazing. They are also easy to bring in their little pouch so I can work out everywhere I go. My Nephew love this product, for his Karate conditioning Training . Great Quality. I have been using these for my at-home workouts for several weeks now. Along with the great price, I am very pleased with the quality of the bands and the included accessories/hardware. I have no doubt that the product will continue to hold up well to my typical daily workouts. Additionally, BMP customer service has been wonderful to deal with so far. Great product. I would buy them again and highly recommend them for others. Excellent value. After a recent surgery I used Black Mountain resistance bands to build up my strength. They provided me with the confidence to set my own pace and limits without the risk of injury. Great product. Great work out. I purchased these bands for physical rehab and they are exactly what I needed!!!! Material is strong and durable. I would highly recommend these to anyone who is looking to either sustain or improve their health. I purchased the stackable resistance band set through Walmart.com. I’m more than satisfied that it does the job it was designed to do and more. A previous set that I purchased from another manufacturer a few years ago was okay but began to come apart and break. I didn’t know what to expect from this set but I’m convinced it’ a superior product and will last. Great product. I like the quick disconnects. My only recommendation would be do add the protective sleeve your kits. I have been using these bands for the past several months. The quality is great. The handles are easy to change out, and being able to combine bands to increase the resistance is a great feature. I got these bands so I could exercise while traveling – so far they’re great – just as advertised and the customer service is excellent and personable as well. I definitely recommend this set of bands. Thanks Black Mountain! Outstanding quality and value compared to the crude and shoddy versions from dubious sources one can all to often find elsewhere. Also a tribute to the excellence and competitiveness of a small family-owned firm. 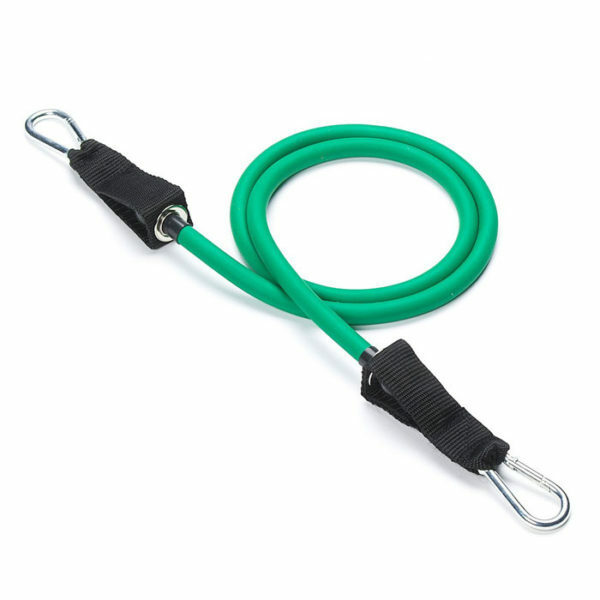 Clever design, great flexibility and ease in hooking up and removing bands for just about any reasonable need across a wide range of resistance. Hats off to BMP! Looking forward to increasing my fitness with these bands of a long time to come! I received these bands for Christmas and absolutely love them. Very easy to use and very durable. Looking forward to using them when I travel and when I need an excellent and quick workout! I highly recommend these bands to everyone! Thanks Black Mountain Products! I got this set for Christmas and so far I have used it every day, and feel that it is very beneficial to me. One suggestion that I would make concerns the instructions and pictures! For example, it says “do not attach to top of door” yet one of the exercises clearly shows to do this. A few of the other instructions were also a bit unclear. I also would like to have had the set include a strap to wrap around a pole, instead of having to purchase that band separately. The strength of the bands is high quality, and I also like the different pound measurements. I travel a lot and have been looking for resistance bands which I can use in hotels. These work perfectly. Highly recommended. Got these for Christmas. At first, I was kind of like, “Okay, but I already have a set of resistance bands.” Then I tried these, and the difference between these bands and the cheap set I purchased from Amazon years ago is stark. After a month of use, not only are the handles much more comfortable to use, but the use of straps rather than plastic as a method of attaching the handles to the bands themselves significantly improves one’s range of movement. And they just seem way more secure. Additionally, the bag and accessories has made it so that I can easily work out while away from home. Plus, I like that BMP makes other accessories I can add to my collection and further diversify my workout. A good set of resistance bands, I’ve had them for about a month and have had no problems so far. I personally use them for pre workout warm ups and post work out stretching but they’re stackable nature means you could tailor an entire workout using just these bands. Great product, great packaging and also like the fact it comes with a bag to hold all the belongings. I use this for my post workouts after an intense training or on my off days. I had this for about 3 weeks and so far no issues. The Resistance Bands are excellent and provide a very good workout. They were recommended to me by a physical therapist.